Join us for a Twitter and Facebook chat! THOUSANDS OF WAYS TO BE A GEORGIA BULLDOG! Here at the University of Georgia we have students from more than 50 countries, 40 states, and 140 Georgia counties. Our students are writers, fashion designers, food bloggers, YouTubers, mathematicians and much, much more. However, what unites us is that we're all a part of #OneUGA! In recent years, students across the country have been vocal about wanting institutions to learn more about their stories and experiences on college campuses. Several students and student groups have used social media to amplify their voice and to start a larger conversation about their current challenges. WE ARE LISTENING AND WE WANT TO HEAR FROM YOU! Typically, University Housing has used summer months to reach out to students via social media with the goal of allowing you to get to know us. This year, University Housing also wants to get to know more about you – who you are, your stories, and your experiences. We know you have concerns that reach beyond your housing assignment: "How will I fit in? ", "What if my roommate doesn't like me? ", or "How will I manage my chronic illness?" As a result, we've partnered with Multicultural Services and Programs to host a series of Twitter chats to learn more about your excitement, concerns and challenges as we transition into the academic year. We will be hosting a panel of current UGA students and streaming via Facebook Live and Twitter Live (Periscope). Additionally, we want to give you the opportunity to hear from each other and other campus partners, too! Join University Housing, Multicultural Services and Programs, current students and other university partners as we talk about the many ways we can thrive here at the University of Georgia. 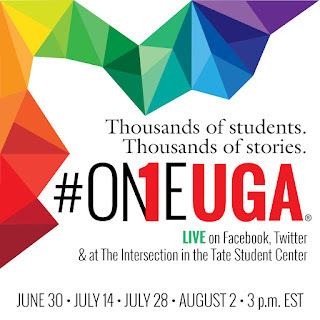 To join, tweet @UGAHousing or @MSPatUGA using the hashtag #OneUGA. You can also join us in person at the Tate Intersection during the chats to get free swag and talk to our current student panels in person. Stop by for snacks, sunglasses, swag and more! Can't stop by in person? 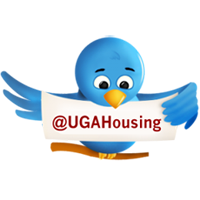 Every student that tweets a question to #OneUGA will be entered to win swag courtesy of the UGA Student Affairs partners.